I have immensely enjoyed giving up a bit of my time to volunteering at races this summer. It's definitely something I want to keep up-- for all sorts of reasons, but the biggest, and most selfish, is how much inspiration the runners provide me. This past weekend I had the pleasure of volunteering at the finish line for the Cascade Crest 100 in Easton, WA. Once again my friend Belia came along (volunteering is always more fun with her!) and we drove to the finish line through cold, pouring rain on Sunday morning. Our job was easy enough, helpful, important, and lots of fun. We were responsible for getting the finishers' sweatshirts and buckles ready as they left the last aid station before the finish, then tracking runners via text message as they got close and made sure the race director, Rich White, was ready to announce the runner as they came towards the finish. We also had to track the finishing time of each runner. We watched roughly 60-some of the final finishers (out of 99 total) come through. Each runner had a beautiful and personal reaction to their finish, and it was incredible to have a front row seat to each one! There were several runners who I have admired through social media, all very accomplished runners, and it was cool to see them in person. 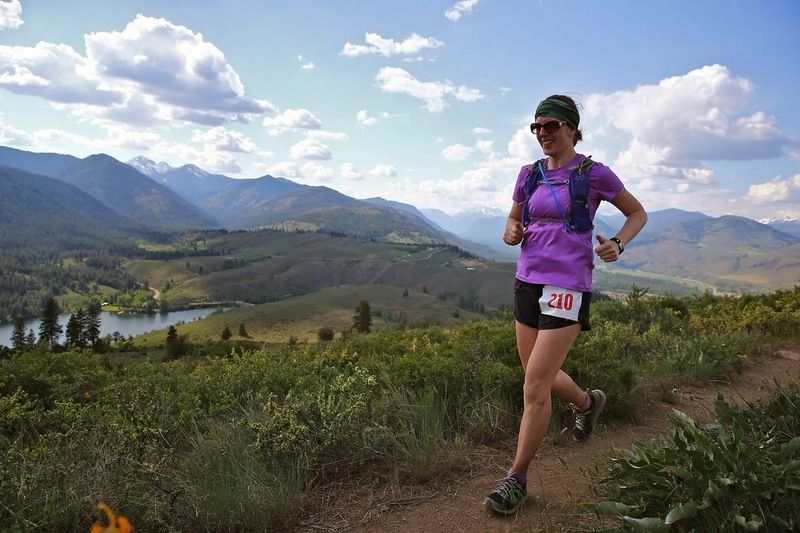 The race was extremely tough this year-- as if a mountainous 100 mile race wasn't hard enough! They battled driving rain, blasting winds and hypothermic temperatures out on the course. I can't imagine how difficult it was for the runners, as well as the volunteers, pacers, and crew who were out there all night! Shivering just thinking about it. The job I had was incredibly cushy in comparison to what most of the other volunteers did for the race! Of course, on Monday I found myself idly googling "how to train for a 100 mile race" . . . . you know, as you do . . . . and well, as with most ultra training plans, there wasn't any real consensus on what sort of background a runner would need or training a runner would need to do. One plan says you don't really need to run over 50 miles a week, another has you running close to 100.